Our residential products are designed for minimal maintenance. 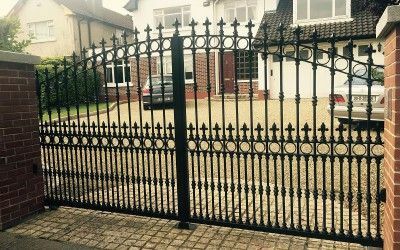 We manufacture and install fencing, gates, including automated gates and railings not only for industrial users, large construction projects and diplomatic clients, but also for the private domestic customers where we bring the same standards and experience. We offer the benefits of our extensive buying power and manufacturing quantities to offer a level of choice, quality and competitive pricing for your property. 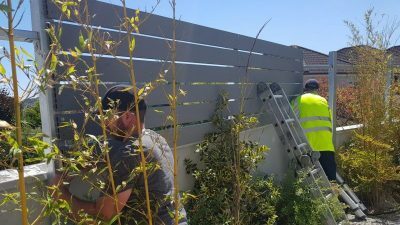 We are fully insured and our installation crews are certified for the machinery and jobs they perform. Under current regulations ( as of 28th September 2014 ) works for domestic clients are eligible for a tax refund equivalent to the 13.5% VAT tax chargeable. 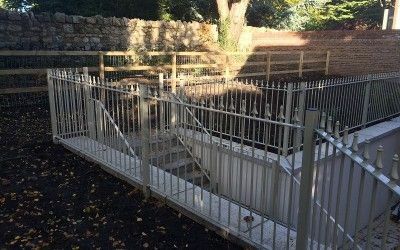 All of our products are designed for minimal maintenance and are finished as standard in our Plasgalv® finish (Hot dipped galvanising with a polyester coated finish). The benefits of automation include privacy, security and safety for your property and the Vat @13.5% can be claimed back under The Government Home Renovation Incentive Scheme. We select appropriate Meshes for residential use from the wide range we supply to the industrial, commercial, institutional and sports markets, you benefit in price from the large quantities we purchase. You benefit from the expertise we have developed since 1973 in supplying the industrial, commercial institutional markets, the standards to which we operate in the domestic market are the same. 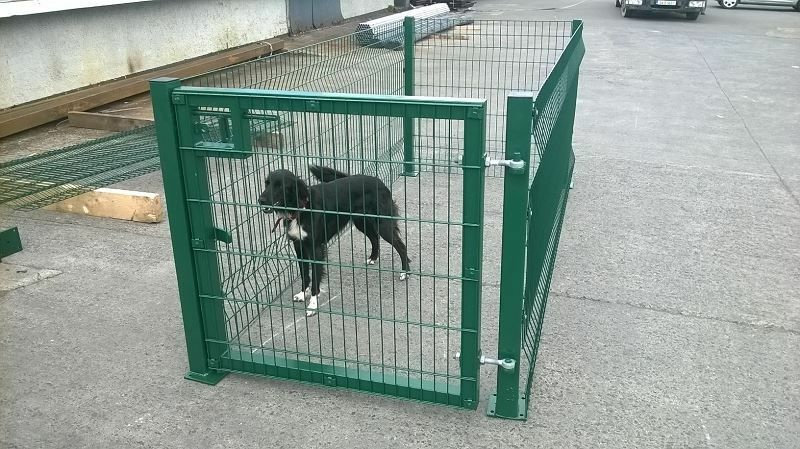 We offer a standard range of dog runs and compounds using our Kylemore Mesh with specially designed gates 1000mm wide. We can also provide customisation to suit your needs. We have an extensive range of popular designs, posts and accessories. We also offer top of the range hardwood designs in Iroko and Sapele which provide a quality addition to your property. 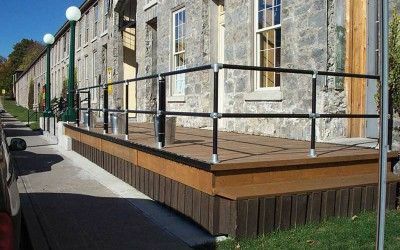 Based on the original Kee® Klamps you can self build or we can supply and install hand rails approved and certified for disabled use. Stair rails, barriers and custom designs can all be fabricated without welding. 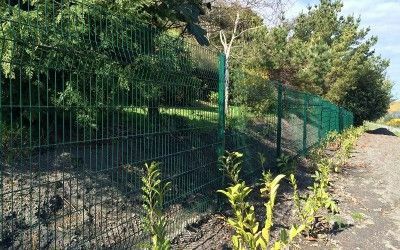 Most intrusions occur over walls or fences we have a wealth of experience in solving this difficult problem and we supply and fit an enormous range of products which cover most eventualities. 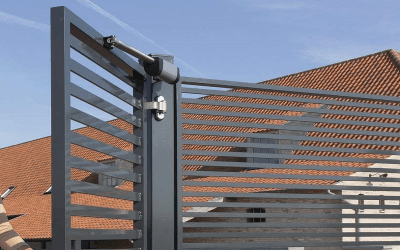 The Irfen® Gate Closer is a hydraulic unit which can be added to a new gate or retrofitted to an existing gate. 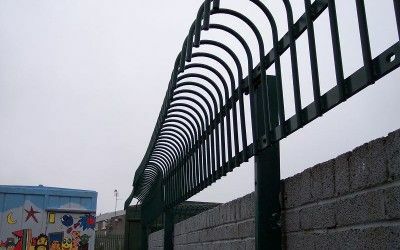 This ensures that your gate always closes fully to protect your animals, children & property.